From the amount of Tweets that I've been making about pizza recently, I think I may have to check into rehab for my pepperoni and sausage addiction eventually. 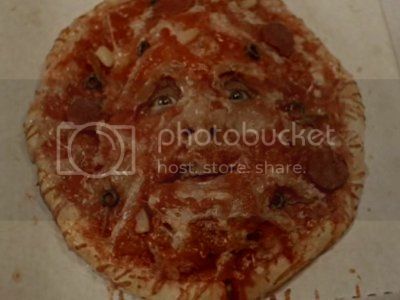 Thus, it's only logical that I now present you with a definitive list of "My Top Ten Pizzas in Horror Films". I hope you feel hungry! 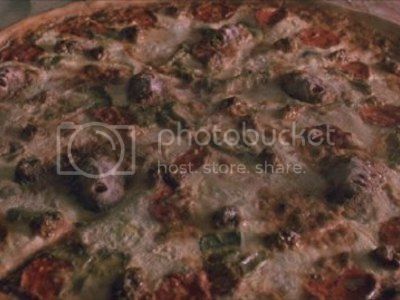 I doubt that there will ever be another horror film which mentions pizza as much as "The House of the Devil". From bad pizza to good pizza, it has them all. I'd even eat this one whether it's drugged or not. 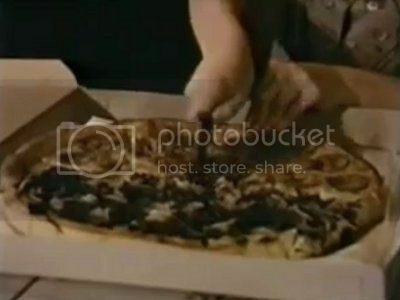 Sheriff Lee Brackett (Brad Douriff) is a wonderful man for providing for his daughter Annie (Danielle Harris) and her friend Laurie Strode (Scout Taylor-Compton) with this beautiful pizza. Yes, the infamous "soul food" line accompanies this meaty feast. Looks good though, doesn't it? It doesn't matter if the pizza delivery guy is stone cold dead, just as long as the pizza itself is still warm. 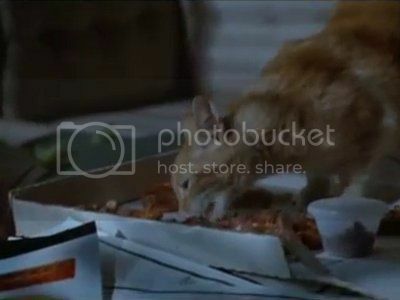 Jack the cat gets more out of the pizza than Detective Russell Logan (Lou Diamond Phillips). Obviously the cat has better taste than his caregiver. 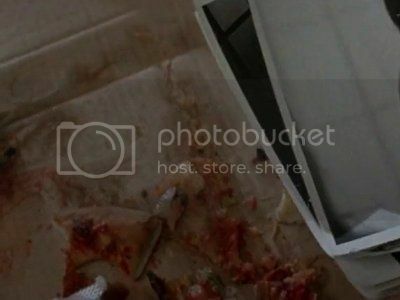 It's not anchovies that you need to be scared of when your pizza becomes possessed! I wouldn't want to eat this after a psychopathic 8 year old girl interfered with it. She didn't even wash her hands first! 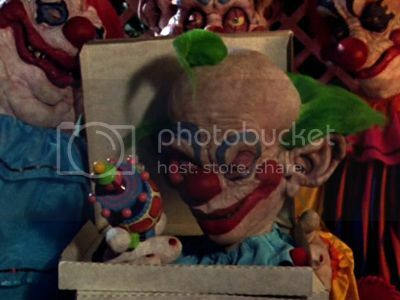 These "Slumber Party Massacre" movies really have a thing against pizza delivery people. This poor girl might get $46 for the pizzas and her shirt, but she doesn't get long to enjoy it. The pizzas, on the other hand, seem to vanish into the stomachs of the party girls before you get to see what they look like! They must be good then. Just a few leftover crusts for Max Renn (James Woods) to dunk into his morning coffee. We've all done worse things. 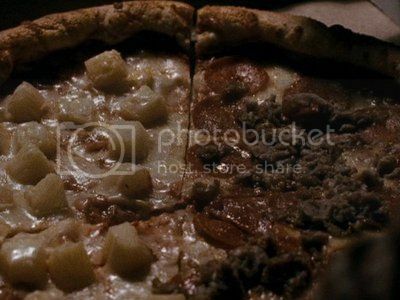 Peter (Michael Shannon) and Agnes (Ashley Judd) completely waste this pizza by pulling it apart rather than eating it. I suppose you can't blame them if they think it has bugs in it. I would be very annoyed if one of these guys was in my pizza box instead of what I'd ordered! 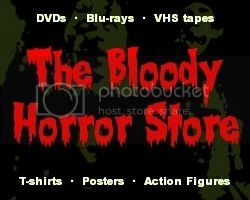 That would be truly horrific... unlike this overrated comedy-horror movie. 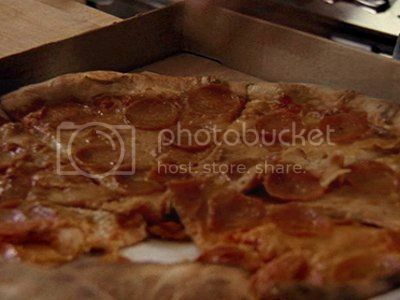 If you've seen any more pizzas in horror films, leave me a comment about them below.